I love it when mum gets out her old recipes. As you can see, this one is from the late 1960's, early 1970's (Australia went metric in 1972). Mum and dad also used to do a version of this on the BBQ without pastry, at many a boozy Sunday lunch with friends, back in the day. I sure hope I can cook this well, when I am in my 80's. I have said many times before, that an invitation to one of my mother and fathers' dinner parties was legendary and highly coveted in their social circle and apart from a little over done pastry on Mothers Day, which I am blaming on the fact we got talking and forgot about the beef, I think mum is still a fabulous cook. This tasted so good and is probably a medium degree of difficulty, so still very dooable and incredibly impressive. 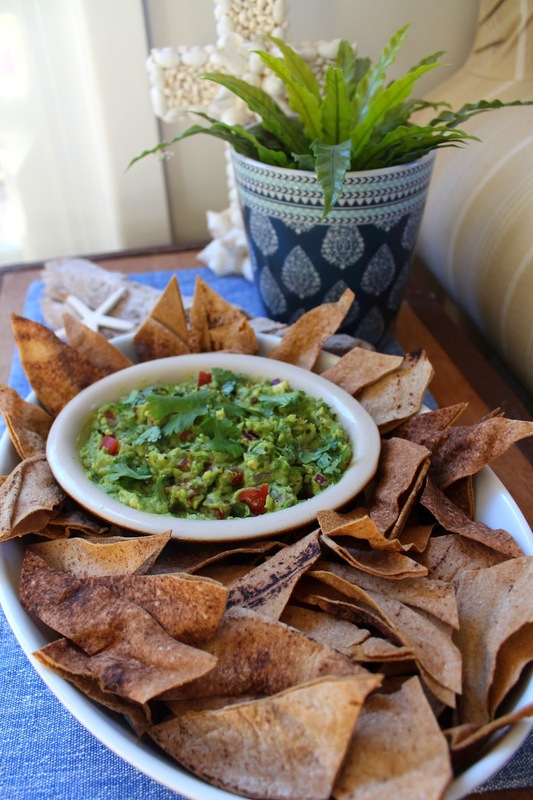 I was asked to bring the starter to lunch, which was this easy guacamole with homemade pita chips. The recipe for which is here. 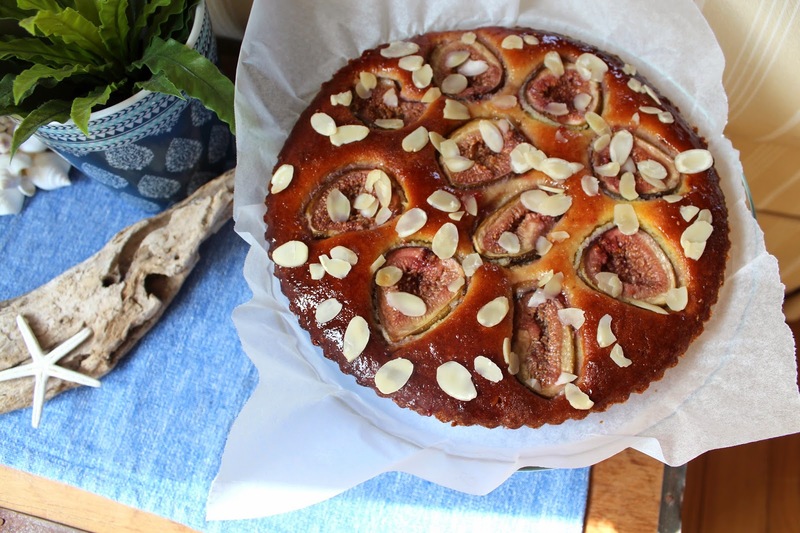 And the dessert, which was this fig tart without pastry, served with mascarpone. I have been making this one a lot lately and it is truly simple and delicious. The recipe for that is here. 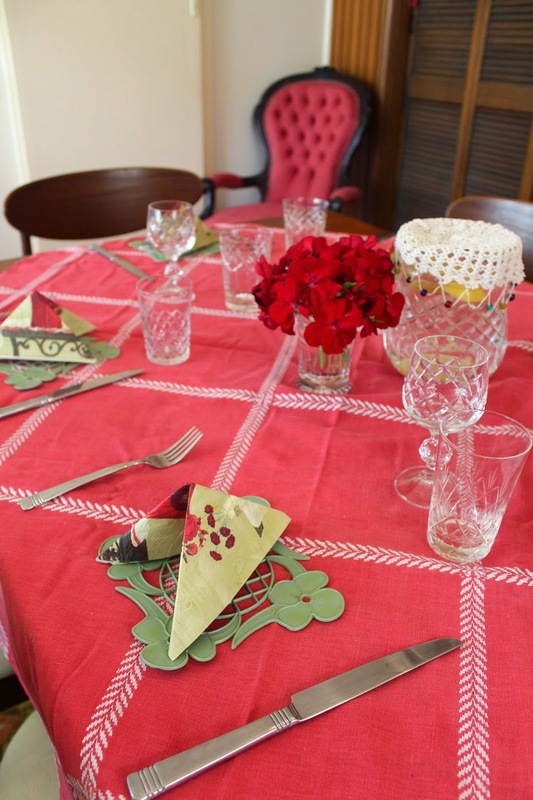 We sat down at a beautiful vintage table, which included mementos from my grandmother, including the water jug and the sweet plastic green place mats. One observation I would make about mid last century, is that all the table ware was a lot smaller back then. It catered to the much smaller appetites of the day. The grandfather chair is also a family heirloom. You can also see the Parker chairs and table, which I grew up with. My mother still lives in the home I arrived at, as a new born and although I grew to dislike Parker furniture as a teenager, the nostalgic pangs it now inspires in me, have meant I have grown to love and respect it greatly, these days. 2oz or 60g button mushrooms sliced and cooked in a little butter. 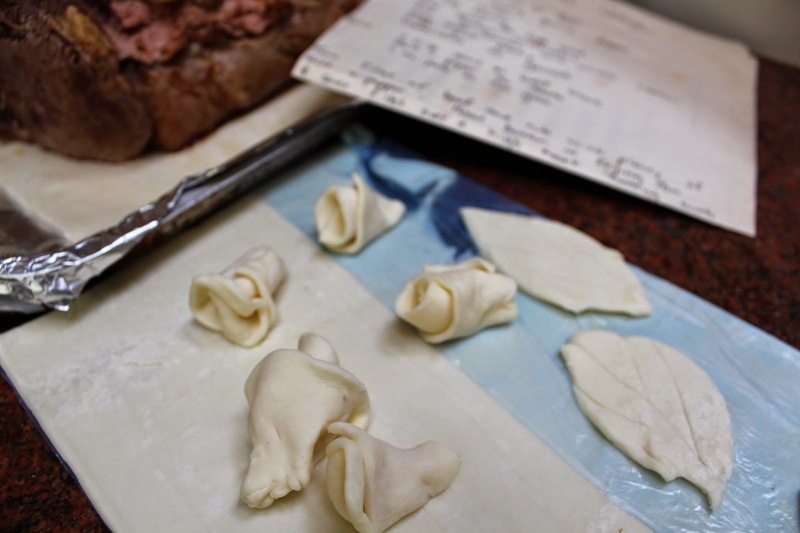 2-4 sheets of puff pastry, depending on the shape of your fillet. 1 cup of veal or beef stock. 1 oz or 30g foie gras or liver pate. Preheat your oven to 220C or 425F. Trim fillet of beef and salt and pepper to taste. Melt butter over a high heat in a frying pan with a dash of olive oil to avoid burning. Sear fillet, turning until brown on all sides. Warm brandy in a separate pan and ignite then carefully pour over the beef. Retain unwashed pan, to make the sauce. Spread fois gras on top of the beef and arrange cooked mushrooms along the top of the fillet. Place 1-2 sheets of puff pastry on a baking tray lined with baking paper. Place beef on top of the pastry on the baking tray. 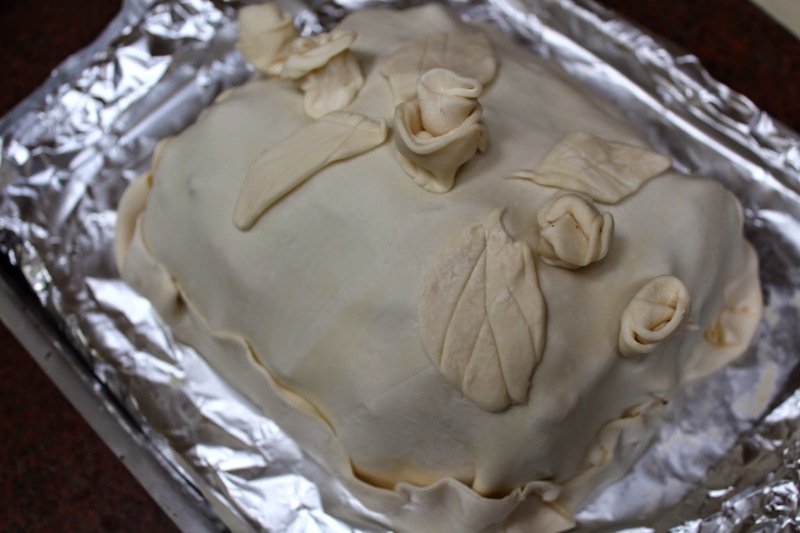 Cover beef with remaining pastry to enclose the fillet. Trim any unnecessary pastry and seal along the edges using your thumb and fore finger. 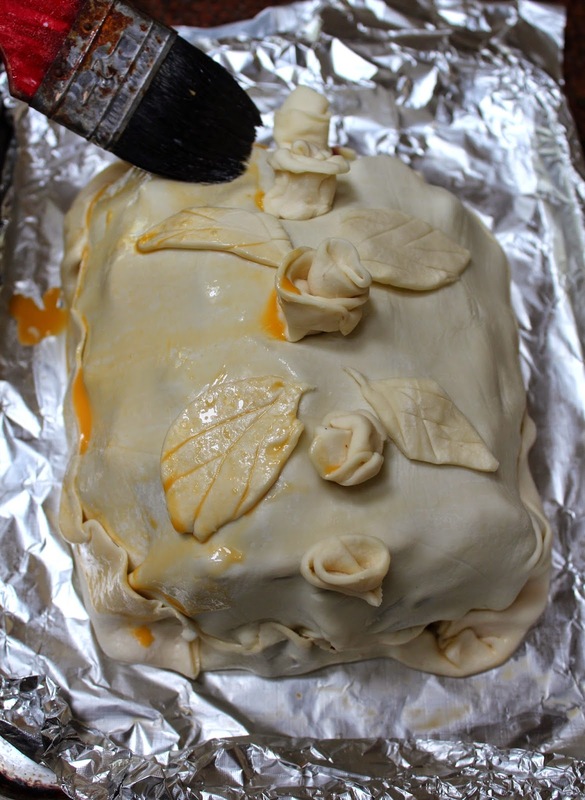 Make leaves and roses from the pastry scraps and decorate your package as shown. Brush all over with egg wash.
Place fillet in the oven and cook for 15 minutes. Watch it carefully and don't forget it like we did. Turn down the oven to to 180C or 350F and cook fillet for 20 minutes for medium rare. Add stock and pate to the frying pan, in which beef was browned. Reheat the pan to a moderate heat. Simmer sauce for 15 minutes, string occasionally. Let it reduce a little and add seasonings to taste. You can pin this recipe by hovering over the shot until the "P" appears, then clicking. Oh Carolyn I hope you had a lovely mother's day. 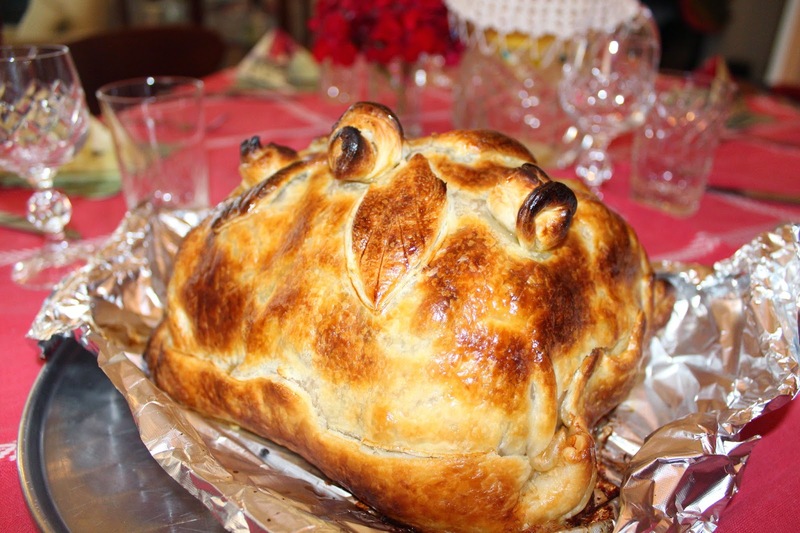 I LOVE Beef Wellington and yours look amazing. And this tart, I am really going to try. It looks beautiful. Love beef wellington! It's something I've only cooked once, but I think I might have to make it again to try this version. :) Yum! That is just gorgeous! I have heard of beef wellington but never had any. It looks like it takes a little practice, but must just be divine! Thanks for the post. 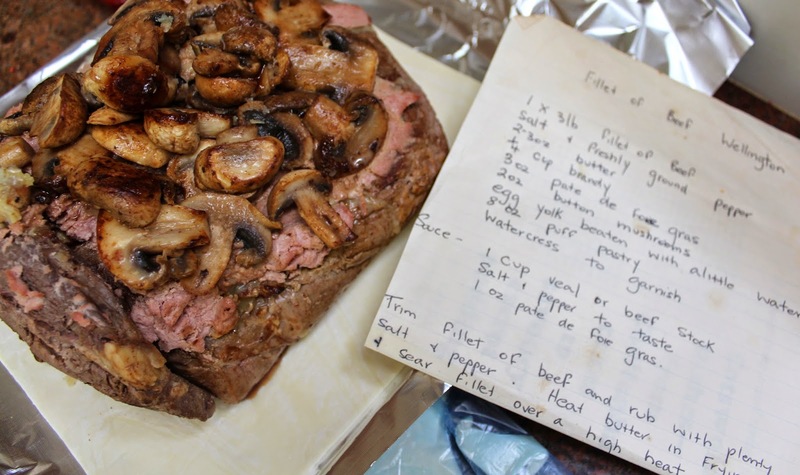 I haven't ever read a recipe for beef wellington before. Smiles and happy weekend! This sounds bad but I don't think I've ever had beef Wellington! It looks divine though! Impressive! That looks a very complex dish in the pictures, but with your handholding and clear instrcutions I could give it a bash. 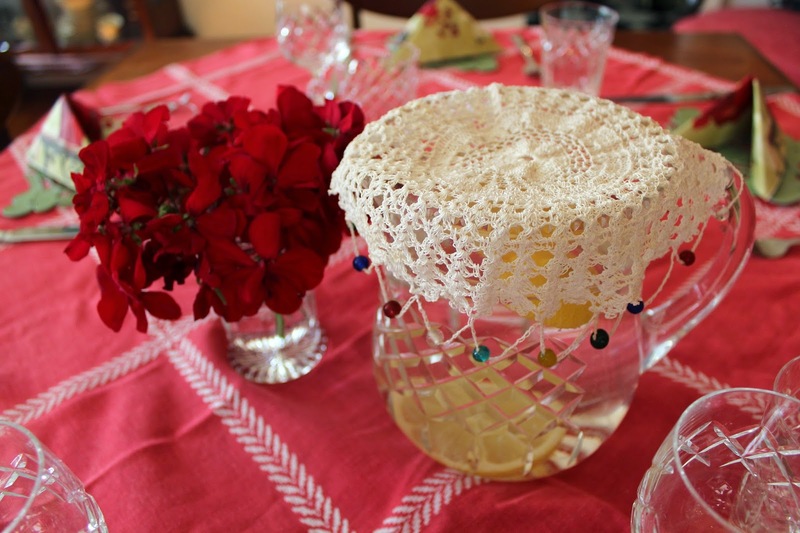 Love the crystal water jug with the weighted doily. 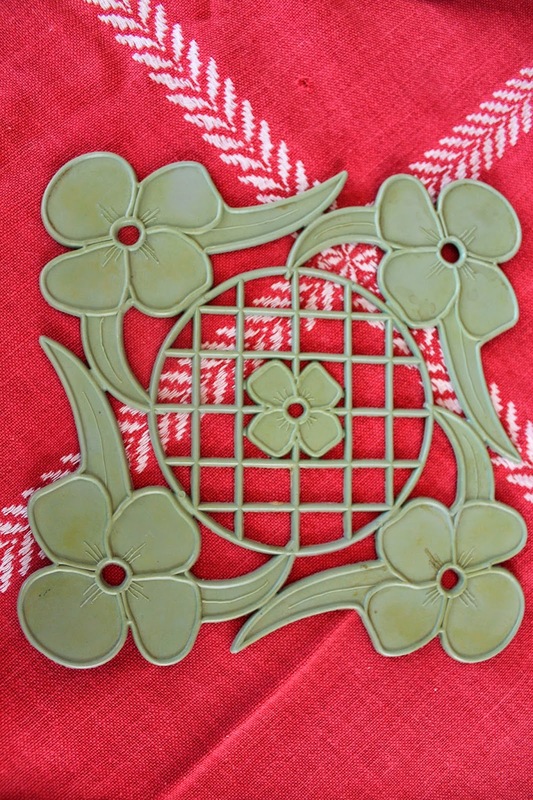 My great aunt had just the same things, I've been looking at some of her tableware and glasses that my mum has now. Different era, things lasted so well. This is a beautiful post ... and don't we all learn to love what we didn't love ... during childhood?!! Thanks for sharing. 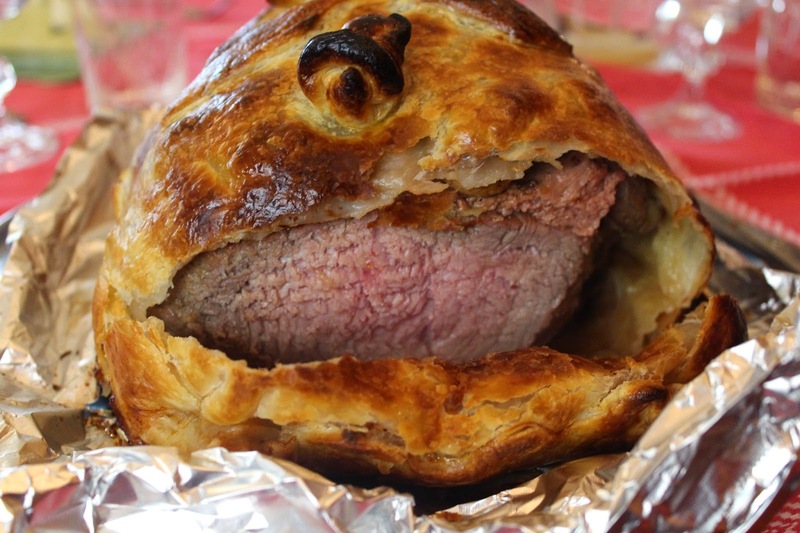 What a beautiful presentation for your Beef Wellington, it looks delicious! Thanks so much for sharing this great recipe with Full Plate Thursday and have a great week!